Visitors to the Victoria Art Gallery in Bath will be able to see two unique exhibitions displayed side-by-side this spring, including the Sharmanka Travelling Circus and Louise Bourgeois Prints. 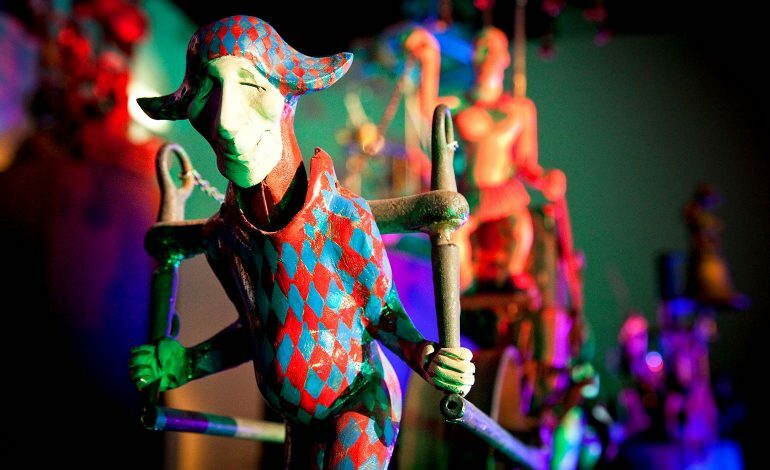 Sharmanka Travelling Circus is a mechanical theatre that will delight visitors of all ages, while the Hayward Gallery’s touring exhibition Louise Bourgeois Prints will showcase prints by the influential artist, who is perhaps best known for her giant spider sculptures. Both shows will run from 23rd February to 7th May 2019. Jon Benington, Manager of the Victoria Art Gallery, said: “We look forward to welcoming these exciting exhibitions to the Gallery, and hope that they will appeal to a wide range of people of all ages. The works incorporate pieces of old furniture, scrap metal and grotesque carved figures. Examples include Swinging Big Ben in which Time is moved on, cheerily and cheekily, by a menagerie of industrious little creatures. In The Eternal Triangle of Love the jolly Harlequin and sad Pierrot – characters from the Italian commedia dell’arte – have been competing for the love of Columbine for so long that they have not noticed her transformation into the figure of Death. There will be a free family activity, Big Top Bonanza, on Wednesday 17th April, where children can create a theatrical picture fit for the Big Top (10.30am-12.30pm and 1.30pm-3.30pm). The Hayward Touring exhibition Louise Bourgeois Prints features two series of prints by one of the most important and influential artists of recent decades, Louise Bourgeois (1911-2010). Best known for her powerful, emotionally charged sculptures, steel cage installations and fabric figures, her prolific output grew increasingly expressive throughout her career. The French-American artist’s work, whether in sculpture, drawing or printmaking, always maintained strongly autobiographical themes, centring on her own obsessions and vulnerabilities. After many years focusing primarily on sculpture, Bourgeois returned to printmaking during the later years of her life – from the 1980s until her death in 2010. The two series in this exhibition were made while she was in her eighties. Running alongside these two exhibitions will be a smaller, free show, Endangered & Extinct: Creative Recycling by Val Hunt. This will feature sculptures of animals, exotic birds, fish, dinosaurs and species of flora, all on the edge of extinction or already extinct, made from a selection of throwaway material, especially Val’s favourite medium, drinks can metal. Most works will be available for purchase. A series of free lunchtime talks will also take place at The Guildhall in Bath to complement the Val Hunt exhibition. Talks will run from 1.10pm-1.45pm. No need to book, just drop in. Wednesday 13th March with Julie Doherty, Avon Wildlife Trust.